Whether you are fighting/have fought on the front lines or you are responding to those in need, I sincerely want to express appreciation and gratitude to you by offering you a 10% discount on any of my services. 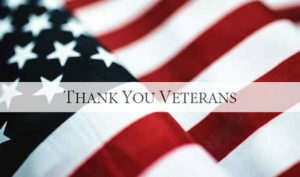 In a time that you often don’t get enough credit for the time and sacrifices that you make I feel that it is important and my honor to say “Thank You for Your Service”. I am honored to have repeat customers. I realize that repeat customers are the highest form of customer satisfaction and to show my appreciation I offer a discount based on the number of previous inspections. If during or right after (before I leave the property) an inspection you decide that this is not the house for you, I will offer you a 10% discount on your next Home Inspection when you schedule with me.